The decision by online retail giant Amazon.com to open corporate facilities in Long Island City in Queens, N.Y., and Crystal City in Arlington, Va., is expected to net each city at least 25,000 jobs by 2030, as many as 37,850 by 2034, and will provide a boon to the economies of both regions, experts said. Julie Niederhoff, an associate professor of supply chain management at Syracuse University’s Whitman School of Management, told Transport Topics that the Nashville center will be integral to Amazon’s logistics structure. Amazon said it will begin hiring for all three facilities in 2019. Trucking industry consultant Randy Mullett told TT that Amazon’s decision to split its new headquarters makes sense for several reasons. 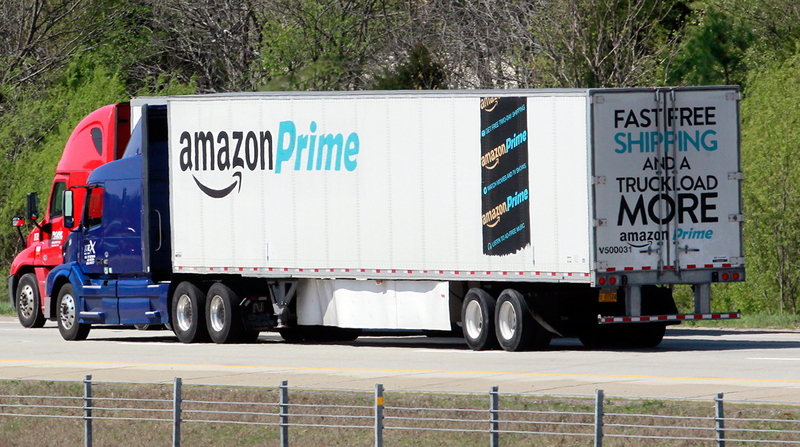 Mullett said it is unclear what impact Amazon’s announcement will have on the trucking industry, even as the company is buying more Amazon Prime trailers and contracting with trucking firms to move their freight. However, Mullett said as Amazon’s business increases, the company will want to continue expanding, especially when it comes to getting packages to its customers. These two locations will allow us to attract world-class talent that will help us to continue inventing for customers for years to come. The team did a great job selecting these sites, and we look forward to becoming an even bigger part of these communities. “Amazon in Arlington is a win for D.C.,” Washington Mayor Muriel Bowser said in a statement. Amazon is based in Seattle, and the company’s expansion means Amazon soon will become an economic engine in two new talent-rich cities. The company said the new jobs will come with salaries that average $150,000 a year. The selections of Arlington and Queens come with a price tag. Virginia Gov. Ralph Northam and local leaders are pledging at least $550 million in tax incentives. There also are expected to be significant transportation upgrades and educational improvements, including the building of a tech-focused, satellite campus of Virginia Tech in Northern Virginia. The campus could cost as much as $1 billion, with much of the money expected to come from university fundraising, but the commonwealth of Virginia has pledged $250 million. New York Gov. Andrew Cuomo said the state and city pledged more than $1.55 billion in incentives and other financial assistance. Just days before the Amazon announcement, it was made public that Long Island City was in line to receive $180 million from New York City for several development projects. No mention was made of Amazon at the time. “New York City is about to get tens of thousands of new, good paying jobs and Amazon is about to meet the most talented workforce in the world in one of the most diverse places on the planet,” Mayor Bill de Blasio said on Twitter.